The Oxford Dictionary of National Biography is the national record of men and women who have shaped British history and culture, worldwide, from the Romans to the twenty-first century. It was first published in 2004 online and in 60 print volumes. Since 2005, we have released three updates each year, so that the ODNB now includes biographies of 59,879 men and women who died in or before the year 2012, plus 527 theme articles for reference and research. It’s by no means a collection of the great and good: the ODNB covers all walks of life, from royal confectioner Balthazar Sanchez to artist Eileen Agar (also on Art UK), with various people who might be described more as notorious or eccentric along the way. The original DNB, created by Leslie Stephen, father of Virginia Woolf, was very much a national institution, and its familiar blue volumes graced the shelves of every library. It was used by the National Portrait Gallery to help them decide who to add to their collections – national institutions complementing each other. The Oxford DNB has built on that partnership with the NPG in recent years. The Dictionary now includes over 11,000 portrait images, selected and approved by curators at the NPG, and more than half of those images come from the NPG’s own collections. 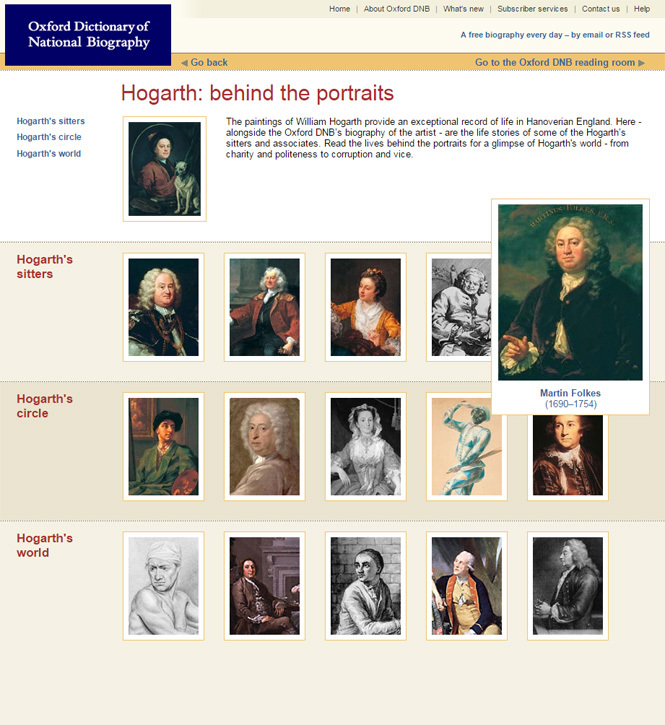 We also have links from our biographies to the NPG’s sitter pages, so in addition to viewing our chosen representation of a person, users can also click straight through to the NPG’s more comprehensive list. In the same vein, we’ve been glad to work with Art UK for a number of years as they’ve sought to bring art in public ownership more into public awareness. 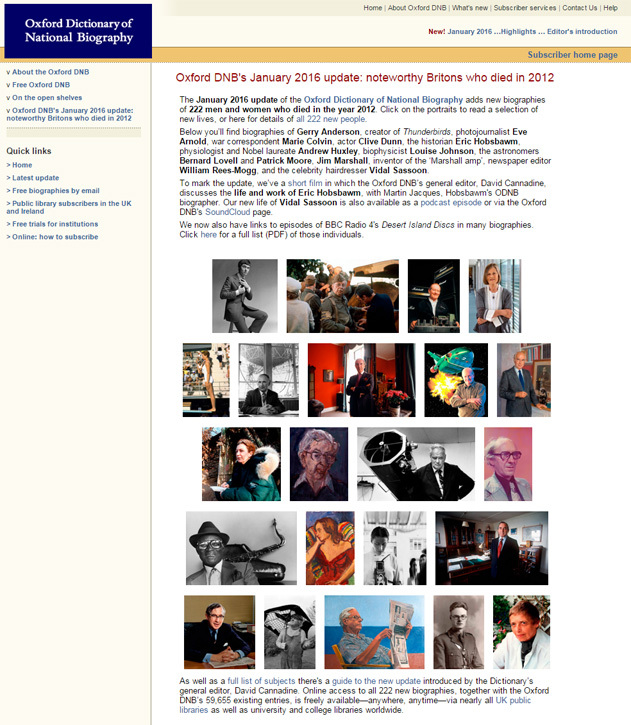 We can provide biographical background to the artists in the collection; in due course we plan to add links from sitters on the Art UK site too, and later this year we will add reciprocal links from the Oxford DNB website to Art UK, so that readers can see the works produced by artists in the ODNB. Public library card holders in the UK have had free access to the Oxford DNB and other OUP sites, with the ability to log in from home, for some time. The Art UK site allows people to register their library card and then take advantage of that free access to read content from the Oxford DNB and from Grove Art Online. 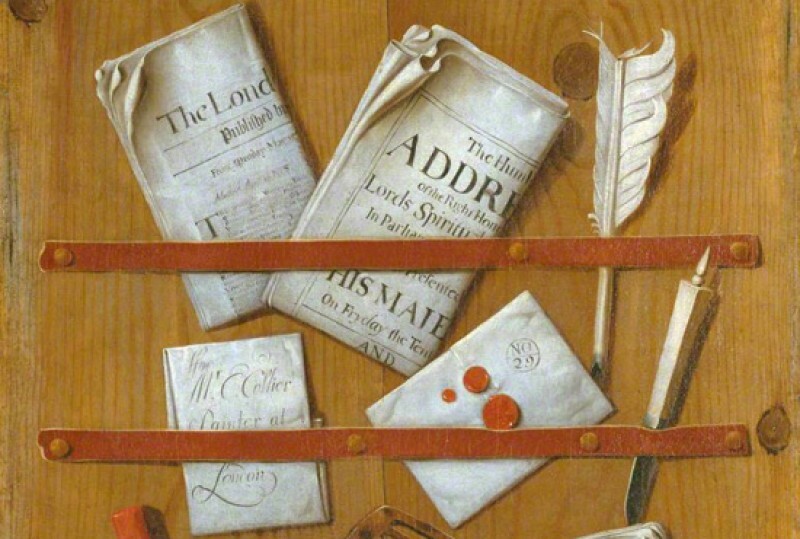 For example, the artist William Hogarth’s page on Art UK takes you on to the ODNB biography, to the Grove Art biography and, if you want, to the Oxford DNB feature on Hogarth’s sitters. As a taster for the Oxford DNB, have a look at the January update, which includes biographies of Thunderbirds creator Gerry Anderson, photojournalist Eve Arnold, hairdresser Vidal Sassoon, and historian Eric Hobsbawm; or watch the video interview between David Cannadine and Martin Jacques, the author of the Hobsbawm biography. We also have podcast recordings of over 250 of our articles, available on the site or via SoundCloud, and we release a new podcast every fortnight, so there are always new lives to explore.